Detective Doreau uses an Amiga 1000 to generate a picture of a terrorist suspect. I wonder if management ever questioned why she needed a joystick on her Amiga. Some Shadow of the Beast during coffee breaks? I recently viewed all episodes. 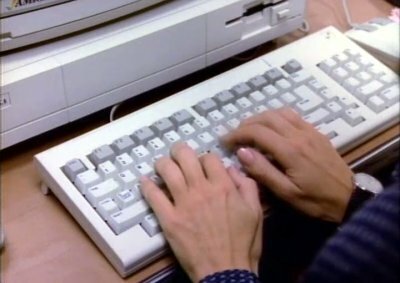 IBM PC AT computers were always used, apart in that episode. 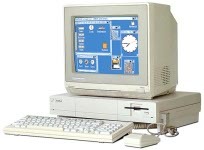 A Commodore Amiga 1000 was used because a colorful photo had to be displayed on screen. Awesome Amiga multimedia computer!